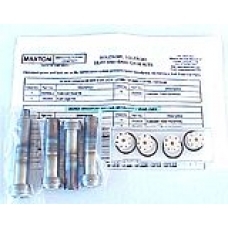 Maxton Solenoid Kit UC1/UC1A/UC2/UC2A is used for screw type solenoid tube configurtations. 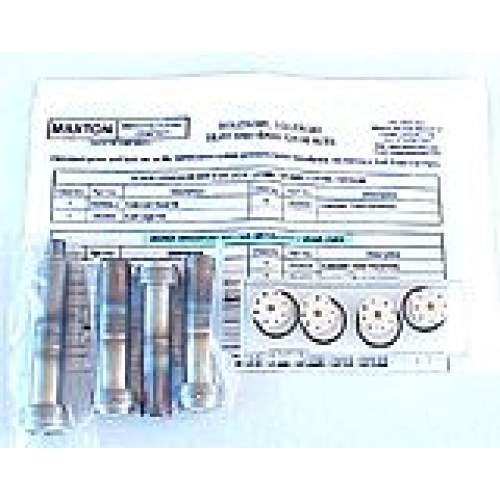 Each kit contains matched solenoid seats, ball cages and solenoid tube assemblies sufficent for one valve. Valves manufactured prior to 1980 have solenoid stems that are held in place with a snap ring. There are no longer parts, seats or seals available for this style solenoid assembly. The valve can be returned to Maxton for repair and return including an upgrade to the current style blocks (re-porting of the valve body) or may be replaced through the purchase of a new valve or valve exchange program.